Stock photo of the Toronto Ferry terminal and the skyline of downtown Toronto seen from Lake Ontario. Skyline of Toronto with the Ferry Terminal along the waterfront of Lake Ontario, Ontario, Canada. Ferry terminal Toronto. Skyline of Toronto seen from the Toronto Islands Ferry, City of Toronto, Ontario, Canada. 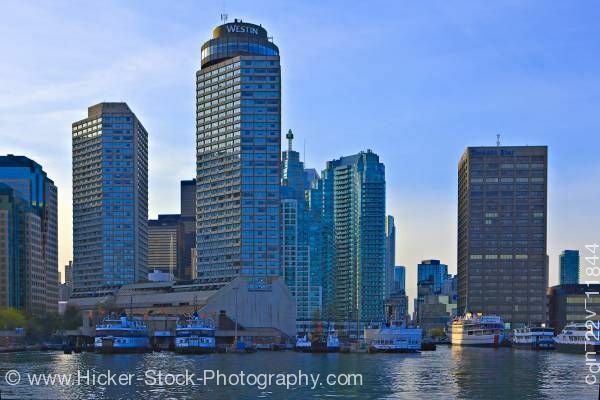 This stock photo shows the dimension of the massive skyline of Toronto City and the Ferry Terminal along the waterfront of Lake Ontario.